GPinfo - Definitive source for Australasian petroleum exploration information. 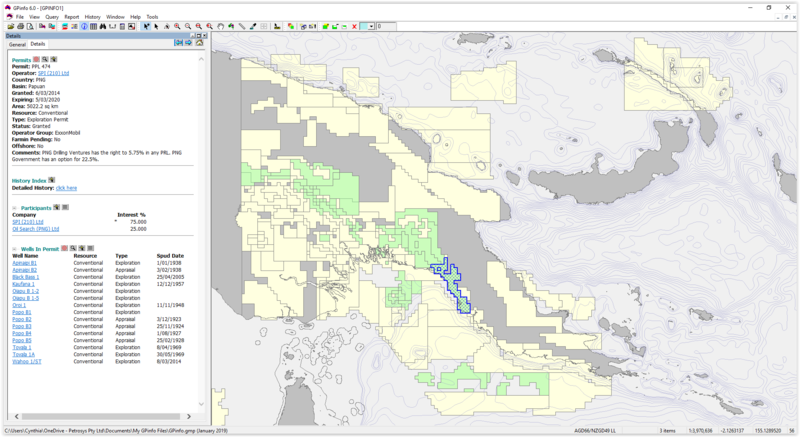 Part of the Vela Software Inc. family along with Petrosys, GPinfo is a petroleum data service that is provided on a subscription basis to exploration companies and other interested parties in the oil industry. It has been in operation since 1990 and has been aligned with Petrosys since 2018. 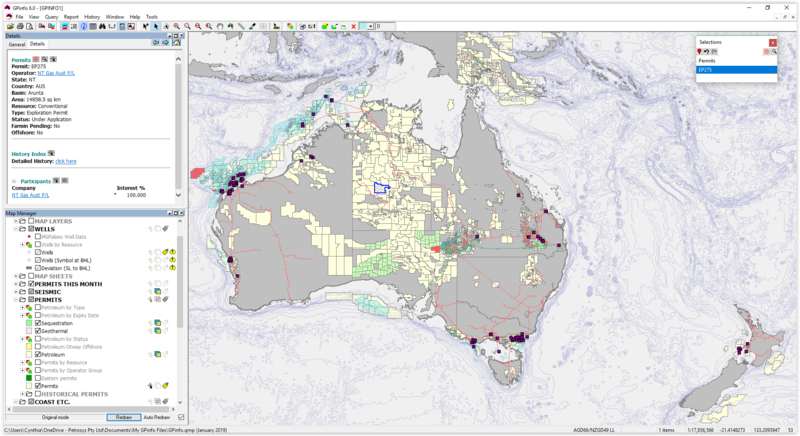 GPinfo is the most detailed and up-to-date database of Australasian petroleum exploration information available, including over 3,000 permits and 29,000 wells. Our team of petroleum information analysts collect data daily and compile a monthly update to ensure our subscribers remain the most informed and up-to-date in the industry. Our subscribers use GPinfo to inform critical business decisions. Use our data to monitor available acreage, track the activities of selected companies and view and manipulate the data on our custom-built GIS. 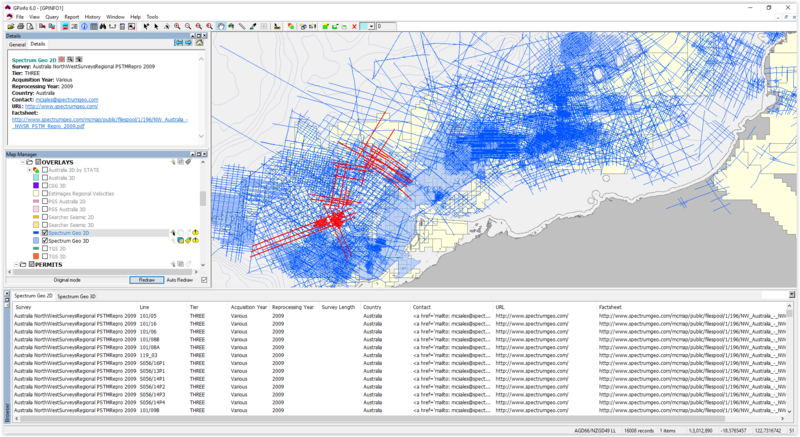 Subscribers can also import their own geospatial and tabular data into GPinfo and export data for use in third party mapping software, including Petrosys, ArcGIS and Mapinfo. 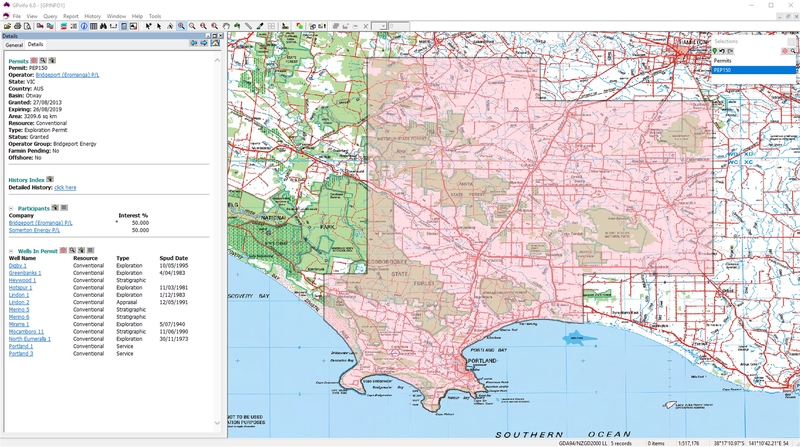 GPinfo has been producing our iconic Australasian Petroleum Permits Maps and eBooks for almost 30 years. Visit our online store to purchase our Maps and eBooks and enjoy fast tracked shipping. 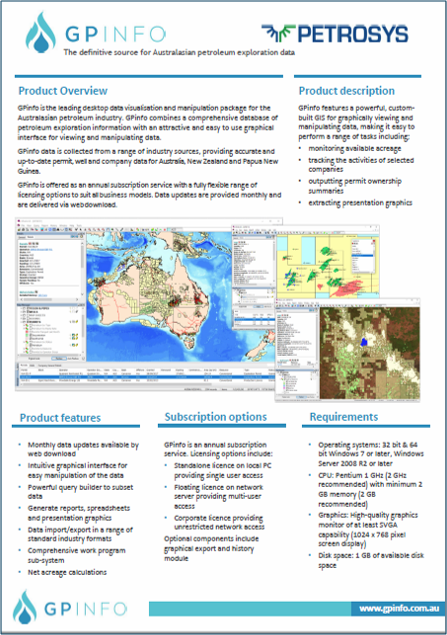 Our map is released at the APPEA conference annually. Our eBook is updated quarterly.